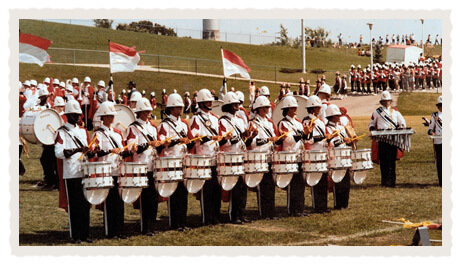 I marched one year as a member of Phantom Regiment in the 1981 snare line. My dad, Joseph J. Lofaso Sr. who passed away in 1993, took this photo in Whitewater, Wis. I live in Metairie, La., and also marched as a member of the Bleu Readers for four years (1977 – 1980).